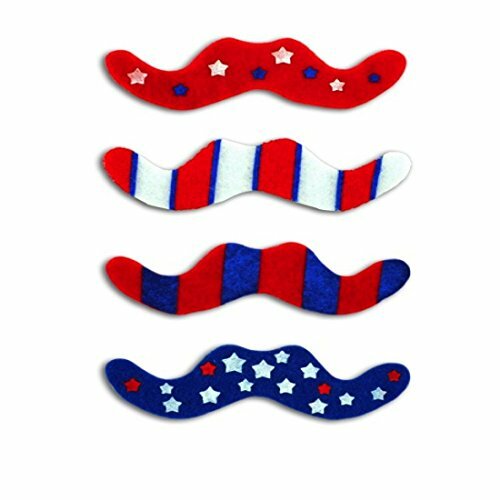 Assorted red, white and blue felt mustaches with peel and stick adhesive on back. Assorted stars and stripes designs. Tons of fun for July 4th. Amscan Valentine's Day Eraser Party favor Giveaway (Pack of 144), Multicolor, 5 3/4" x 6"